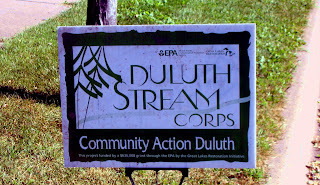 Duluth Stream Corps were on site early this morning to plant trees at our historic property that adjoins Oregon Creek. We are happy to have this restorative work done on our property along Oregon Creek which contributed to the health of the creek and the greater St. Louis River/Lake Superior watershed. 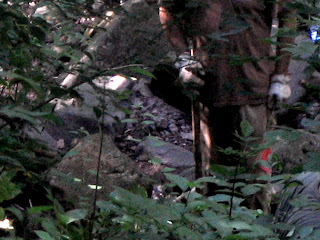 The workers planted 4 white pines, 4 white cedars, 3 yellow birth and 26 white spruce trees. Fencing and cages were placed around each tree to protect them from animals as they grow. We will do our part to keep them healthy and watered. 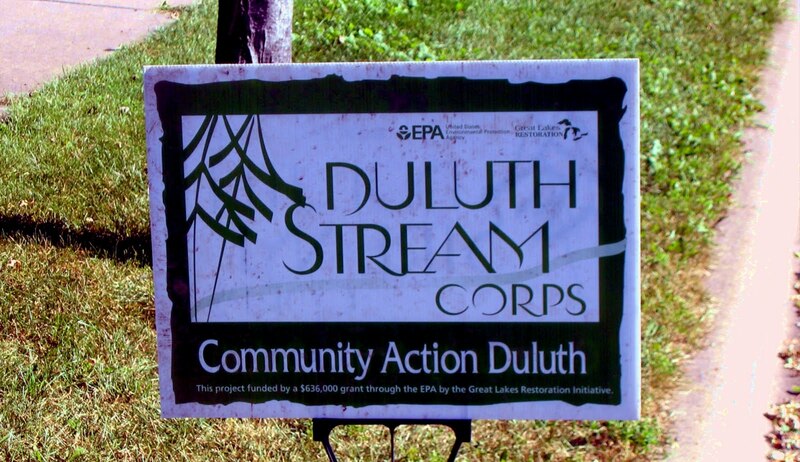 The Duluth Stream Corps was launched by Community Action Duluth and their goal is to plant 20,000 trees and shrubs over the next two years along streams in the Duluth area. The benefits of planting the trees and restoring the streams are to increase land value, reduce harmful erosion, provide natural filtering and slow storm run-off. 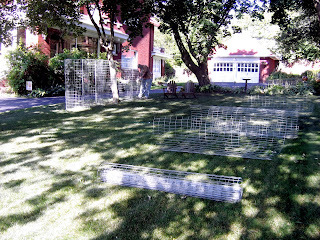 The labor, plant materials and landscape design was free and we were happy to pay for fencing, cages and materials. 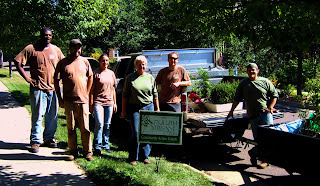 They provided us with a complete folder of information on what they planted, information on weeds and tree diseases and exactly how to care for the new trees. 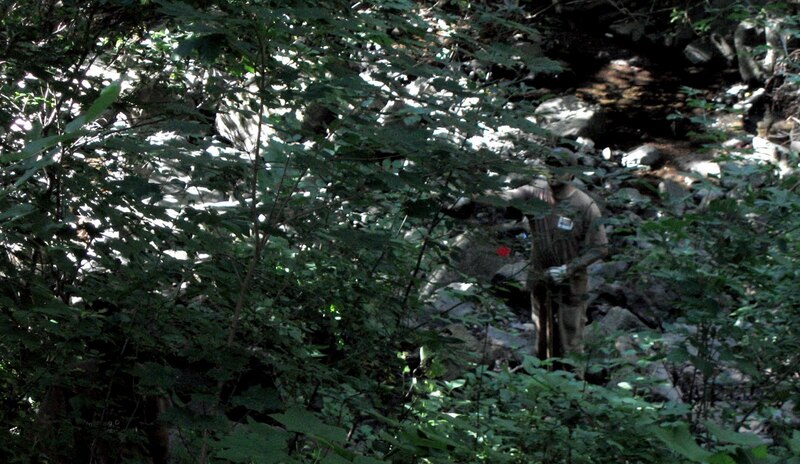 Enjoy the photos of this project today! 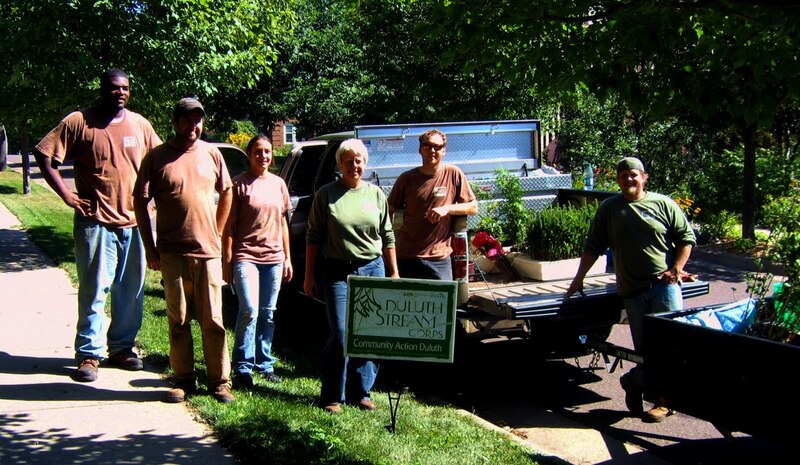 Plan your next trip to Duluth and reserve your stay here. Whether it be for vacation, anniversary, birthday or romance–we have just the destination for you! 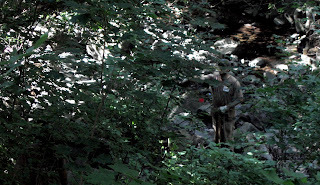 This entry was posted in Oregon Creek and tagged Oregon Creek by Joy Fischer. Bookmark the permalink.